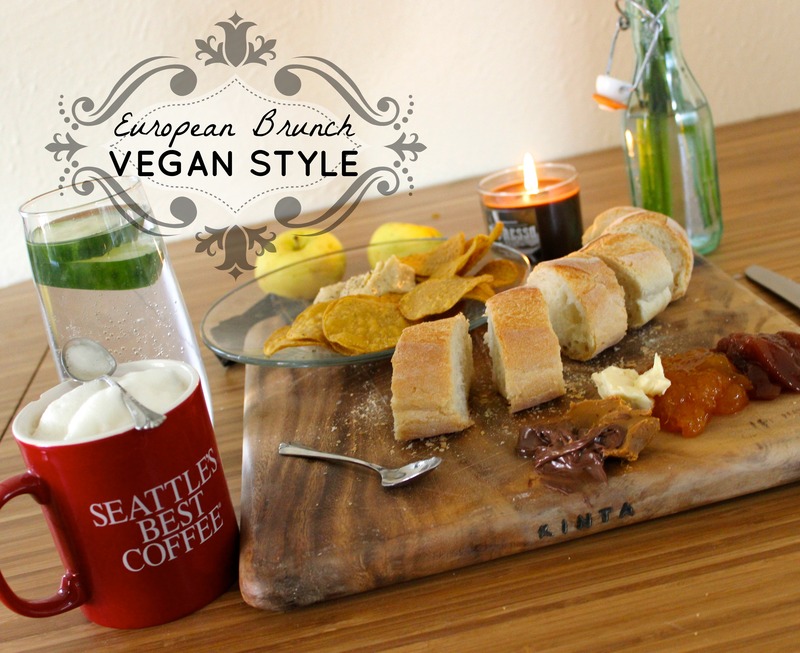 Posted on August 7, 2014 by Sarah S.
I like to think my brunches are European style because I fell in love with breakfast in Siena, Italy while filling up on Nutella croissants (still warm! ), prosciutto, pecorino, and espresso. But to be honest, I think Americans do brunch best: lots of food, lots of friends, usually a hangover, and bottomless mimosas. But for the days you want to stay in for the best meal of the weekend, I’ve put together a delicious vegan brunch menu. European inspired, American made, and to absolutely die for. *Keep scrolling for the recipes below! The idea is so simple, I can’t believe I didn’t think of it sooner! 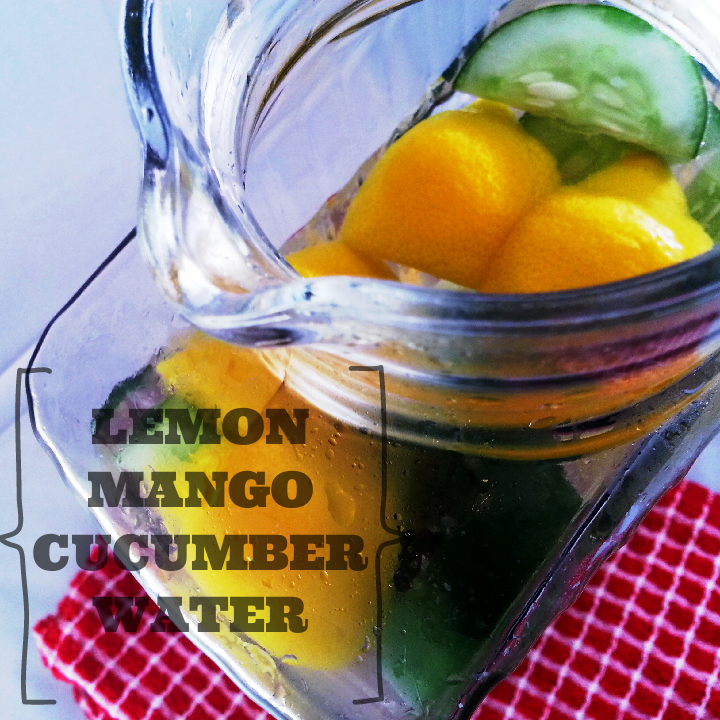 Add cut up cucumbers, lemon, and frozen mango to a pitcher of water, and suddenly you have a refreshingly healthy drink that actually makes you excited to drink more water. Mix the above in the food processor. Run it for a long time (about 6 minutes) to get it fluffy. Add more water if needed. For a fun variation on the above recipe, use less water and add a tablespoon of balsamic vinegar. Yum! Assorted veggies, diced, cut, etc. I like to make this dish with any extra veggies from the week. It’s a great way to use up your extra produce in one dish! Wrap the blocks of tofu in a dry paper towel. Set on a smooth plate or cutting board and add weight on top. I sandwich my tofu between two cutting boards and stack my cookbooks on top. Whatever gets a decent amount of water out of the tofu, works! Let the tofu sit this way for ten minutes or so. While waiting, heat the sesame oil on medium/high heat. When warm, add your veggies. Add a tablespoon of soy sauce. If the veggies are sticking to the pan, add water, a tablespoon or so at a time. When the tofu is ready, crumble into the pan with the veggies. Stir and add your second tablespoon of soy sauce. Continue to cook until tofu is heated through. Add salt and pepper to taste. Any other vegan recipes you’d recommend for brunch?